In this article we break down and compare Roku’s 2019 models. If you just want to sign up for Roku now, click here. By using the link on this page you are guaranteed to get today’s lowest pricing and we get a small commission from Roku, at no expense to you. Roku is the company that is revolutionizing TV. They have created a convenient and cost effective way to watch our favorite shows, sports and movies. You have access to over 4000 free and paid channels featuring hundreds of thousands of movies and episodes, all through the power of a remote. It sounds great doesn’t it? If you’re thinking it will be a headache to set up, you’re wrong. Simply plug the Roku into your TV, power it up, connect it to your WiFI and create a Roku account to activate your device. All you have to do is search through the abundance of channels and find something to watch. Depending on your requirements, there are 7 different variants of Roku devices, each with their own unique qualities. So you should be able to find something that’s within your budget and does everything you need it to do. Roku plugs into your TV using an HDMI cable connected from your TV to the Roku device. The Roku is then connected to the internet via your WiFi router and home network. Roku works by downloading video from the internet, you then watch on your TV. The video doesn’t need to be saved because it’s watched as Roku downloads or “streams” the video. Apps or “channels” are programs you load onto your Roku device that provide you with various movies and TV shows. This is pretty much the same as downloading an app on your smartphone. Most channels provide TV shows that are recorded and not live. However, channels like Hulu provide many current TV shows just one day after the live airing. The wait is well worth it considering the financial saving. In most cases, the shows are recorded, stored each channel provider and then streamed to your Roku. This differs from the live TV experience you receive with cable TV. However, with a Roku and the right channels, you can watch a majority of your favorite shows. You just watch one day later. The Roku gives you the power to decide what shows you want to watch and when you want to watch them, so it’s essentially watching TV as if everything is on-demand. Roku was released in 2008, at that time, the only streaming service available was Netflix. Since then, the industry of internet TV streaming has enjoyed widespread evolution. Today, there is very little content available on Cable TV that you can’t stream with a Roku and watch on your TV. It makes you wonder how much longer Cable TV will be around. 10 years on, as of October 2018, Roku is offering the following 7 streaming devices. There are five set-top streaming boxes, the Roku Ultra, Roku Premiere, Roku Premiere+, Roku Express and Express+. Then there are two sticks, the Roku Streaming Stick and the Roku Streaming Stick Plus. What products do Roku offer? This is the cheaper option of them all, this is perfect for first time streamers, but powerful enough for seasoned pros. It’s super easy to set up and comes with a simple remote. This will give you huge amount of channels and over 150,000 movies and episodes. Plenty to keep you going until you decide to upgrade. Like the Express version, but with more access, to the likes of Netflix, Amazon, Hulu TV, Youtube and more. It also comes with an analog AV cable complete with red, white and yellow plugs. There’s no reason to buy the Plus if the TV you’re connecting to has HDMI, but there are plenty of older TVs that don’t. This smart little device is the best way to revive an old TV into new the streaming age – Great for those on a budget that can’t justify spending thousands on upgrading their TV. The Roku Ultra is like buying a car with all the optional extras. In addition to the standard features, it has a voice search for hands-free operation, and the quad-core processor and dual-band Wi-Fi connectivity facilitate seamless playback of 4K and HDR content from your favorite streaming services. A genius additional feature is the ability to connect your headphones to the remote for discreet audio. They even come with JBL headphones! A good option for anyone wanting the latest shows in 4K definition. Compatible with most 4K and Ultra HD TVs, this option is for those that appreciate higher definition. Watch old and new favorites with this Roku Premiere streaming player. Designed for Ultra HD and 4K TVs with it’s quad core processor, it provides access to high-quality content across most popular streaming channels. With access to over half a million movies and TV episodes and shortcut buttons to your favourite streaming channels, this super efficient device will tick all your boxes. The Premiere remote uses infrared, which requires line-of-sight to the player itself, which could be a little annoying depending on where your streamer is positioned. This would be good for those that want super high definition and all the channels to watch them on. Like the Roku Premiere, it has all the decent features such as 4K and Ultra HD compatibility and the access to all the half a million movies and episodes. The main difference between the Premiere and the Premier Plus is the remote. The Premier Plus has the trusty headphone jack in the remote for discreet audio, perfect for watching TV when your partner is asleep next to you in bed. The Premiere Plus uses an RF signal that enables it to be pointed anywhere, so you can hide the streamer behind the TV or inside an entertainment center. The Roku Streaming Stick is a rather inconspicuous black rectangle, similar in size and shape to a USB flash drive. It has the Roku logo embossed on the side, with a tiny power light across from it. There’s an HDMI connector on one end, and a micro USB port on the other. Like the Chromecast and similar products, you can use the included cable to connect the Stick to a wall adapter, or to a USB port on your TV. Overall, it’s a smaller alternative to the box variants with all the power of its bigger brothers. Because it’s so small and discreet, you can also take this wherever you go, round a friends house, in your hotel room on your business trip, or on a family vacation. If 4K isn’t a must for you and you don’t want to see the streaming box like the Express or Premier models, then the Roku Streaming Stick is the best option for you. The Streaming Stick Plus is a bit more flashy than it’s little brother. It’s covered in a reflective plastic with a centered Roku logo. The Plus model has the ability to play 4K HDR content, so if your TV is 4K, the chances are you’ll want to make the most of that with the Stick Plus. While the Streaming Stick only has internal Wi-Fi, the Stick Plus has an external wireless antenna embedded in the micro USB cable. Roku claim that this should provide up to four times the range of the 2016 Streaming Stick. This option is probably best for people who want the latest in 4K streaming technology without the clunky streaming box. Roku on the most part are competitive on price when compared to its rivals. Usually $10 or $20 cheaper in comparison to its closest equivalent. Voice remote with TV power and volume buttons. An ingenious lost remote finder, and 500,000+ movies and TV episodes, with search across 1, 000+ top channels. Private listening with included Premium JBL headphones. Perfect for HD and 4K Ultra HD TVs. You can watch just about anything with access to 350,000+ movies and TV episodes across 3,500+ paid or free channels. Features fast quad-core processor. Private listening with included Premium JBL headphones. Portable, powerful and discreet with voice control remote with TV Power and volume. Access to 500,000+ movies and TV episodes across over 1,000 channels. Powerful, portable and exceptional wireless range thanks to its advanced wireless receiver for 4x the range. Brilliant 4K, HDR, and HD streaming. Voice remote with TV Power and volume. Access to 500,000+ movies and TV episodes, easy-to-use remote, intuitive navigation, search across top channels. Generally speaking for all models, they’re user friendly and easy to navigate around. If you’re familiar with how to use an app on your smartphone, you’ll have no problems finding what you want to watch in good time. With regards to the navigation, the interface seems a bit dated. Roku haven’t updated their interface for a number of years and even though it is pleasantly simple, it could do with some more advanced features and a theme overhaul. That being said, Roku has clear, clean and lightweight menus which allow you to customize your home screen with your favorite apps and a variety of attractive themes. The system couldn’t be more attractive or simpler to use. Having the Roku app makes life easier, considering a lot of us are guilty of holding our phone and somehow having one eye on the TV with the other on our hand, it’s sometimes easier to use our phone rather than find the remote. Assess your needs before buying, because the Plus variants don’t always have the features that you need. You could be just as happy with the cheaper model and still get everything you want out of it. Sports: MLB.TV, NBA League Pass, NHL Game Center, NFL Now, WatchESPN, WWE Network, UFC Online and more. How fast does my internet speed need to be? With the likes of AT&T bringing you speeds of 1000Mbps, and Xfinity providing speeds of up to 2000Mbps, it’s doubtful that anyone would have any problems with the requirements of any Roku product. How does Roku compare to other products? The main competitor of Roku is the Amazon Fire Stick 4K. Even though Amazon dominate a lot of different market sectors, they missed a few important features. Roku have cleverly picked up on this and filled the gaps that Amazon have left. Firstly, the Amazon Fire TV Stick 4K lacks Google and Now TV apps, the Roku satisfies pretty much all of your TV streaming needs, making it an excellent hub for all types of content. The Amazon Fire Stick may be more cutting-edge in terms of technology and has a slightly better performance, but it’s more cluttered which can confuse some users and it has less content overall. The Nvidia Shield TV is an Android streaming box option with an emphasis on gaming, so not ideal for those new to this kind of technology. If you’re a bit of a gamer you could just get a full fledged video game console, like a Playstation 4 or Xbox One since they all also offer media streaming now. But these seem to lack the user friendly elements of the likes of Roku and Amazon, such as simple navigation and an easy to use remote. Based on the general reviews online, the product gets a lot of thumbs up. Someone even said that their interface is so user friendly, their young grandchildren could navigate their way around it. That means Roku have come up with a product that anyone can user, no matter what their skill set and knowledge in technology. For those of you that can’t live without terrestrial TV, you can pay the Hulu TV subscription and watch all of the regular local TV channels. This is useful if you like to keep up to date with the local news and weather. Several people mentioned that it’s great for turning their older TV’s into streaming mega machines, which is great for the environment because we don’t have to tear through lots of resources and throw away what we could still be using. It also saves your wallet too, not just the planet! There does seem to be some notable issues with aftercare. Their customer service department can be frustrating. Apparently, they don’t answer their 24 hour phone line, and the online chat assistants “don’t know what they are doing.” I understand that this situation can be aggravating, so reviews can be a little harsh sometimes, but nonetheless, this is food for thought. It seems that the products themselves don’t really go wrong (as far as we can tell), so you shouldn’t encounter many problems with the aftercare and customer service. Can I watch movies and TV shows without commercials? Yes. As a general rule, free channels on Roku streaming devices often do have ads; However, there are also free channels that have no ads. Most channels that offer subscriptions or paid content are ad-free, for example Netflix, NOW TV, and Hopster. Some paid subscription channels also have ads. Can I take my Roku streaming player with me when I travel? Yes. Connect your Roku streaming player to the internet at your next destination and watch your favorite movies and TV shows just like you do at home. Some travel destinations limit the speed of the internet connection. To avoid video playback issues, check that your destination has a good internet connection. Can I display content from my phone on my TV using a Roku streaming device? Yes. When gathering with friends and family, you can use your Roku streaming device to wirelessly share content on a nearby TV screen rather than asking everyone to huddle around your phone. Will I be charged a monthly subscription or rental fees? No. Roku does not charge a monthly service subscription or monthly equipment rental fees for owning a Roku streaming player; Nor does it charge for creating a Roku account. However, you may be charged a monthly subscription for services, or channels, available via the Roku Channel Store. The term “4K” (also known as 4K Ultra High Definition, 4K Ultra HD or just 4K UHD) refers to the resolution of the TV, which is a measure of how much detail you can see on the screen. The resolution of a traditional 1080p Full HD TV is limited to 1,920 columns and 1,080 rows of pixels, while a 4K Ultra HD TV has an increased resolution of 3,840 columns and 2,160 rows of pixels. With four times the resolution of 1080p, 4K offers improvement in picture clarity over existing HD resolutions. 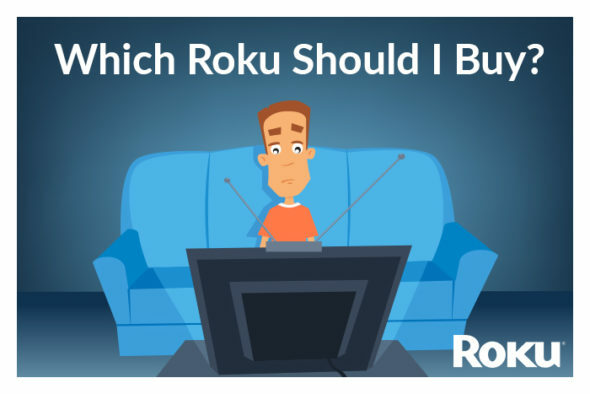 Do I need a Roku® streaming player for each room in my house? Yes. Much like your cable box or DVD player, Roku streaming players are designed to be connected to one TV. However, the Roku Streaming Stick Plus can easily be moved between rooms. What do I need to stream Netflix shows in 4K on my Roku® streaming device? ← Is AT&T Internet The Best Option For Gaming?